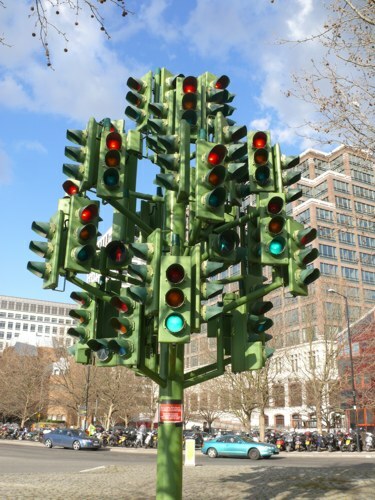 Traffic Light Tree is a public sculpture in London, England, created by the French sculptor Pierre Vivant. The Sculpture imitates the natural landscape of the adjacent London Plane Trees, while the changing pattern of the lights reveals and reflects the never ending rhythm of the surrounding domestic, financial and commercial activities. This year has been a roller coaster of emotions to say the least, for both myself and my daughter, its been a steep learning curving finding out how we feel, seeing how we should feel and deciding how we want to feel. We’ve cried, laughed and loved more than we have ever done, this has brought us closer but also created more tense times. Surrounding influences have made our relationship more complicated now but also stronger, we both get things wrong and learn as we go along. There is a lot going on in our life these days, what affect will this have, I don’t know yet? Our life is not what we expected, but I have no doubt that these changing patterns are the right ones and we are going in a more positive direction. She is definitely developing a strength of character beyond her years but is still only ten and has many emotions she does not understand, not to mention the tidal wave of hormones that have conveniently decided to turn up around the same time. She now has a much sharper sense of wit, improved sarcasm, stronger attitude and greater awareness of life around her, she now expresses her love and emotions much more clearly if not always in my favour!! My girl is growing up and like probably all mums out there I was totally unprepared, these things seem to turn up when you take your eye off the ball for a moment. This all being said… to my daughter you still have to make your bed in the morning, go to bed on time, pick up your dirty clothes off the floor etc, you won’t like it but one day you will thank me! (forgive the turning into my mother quote). Like the lights in the above installation our life’s are a constant changing pattern reflecting the never ending rhythm of our surrounding influences. I’m ready….